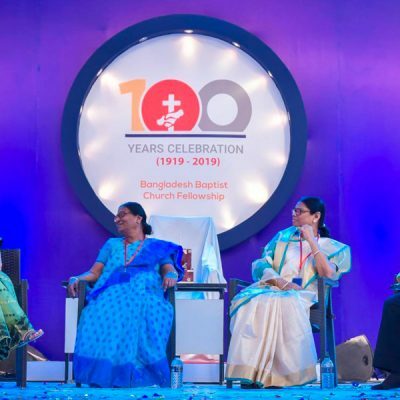 Between 21st and 23rd February 2019, the Bangladesh Baptist Church Fellowship (BBCF) celebrated their centenary. 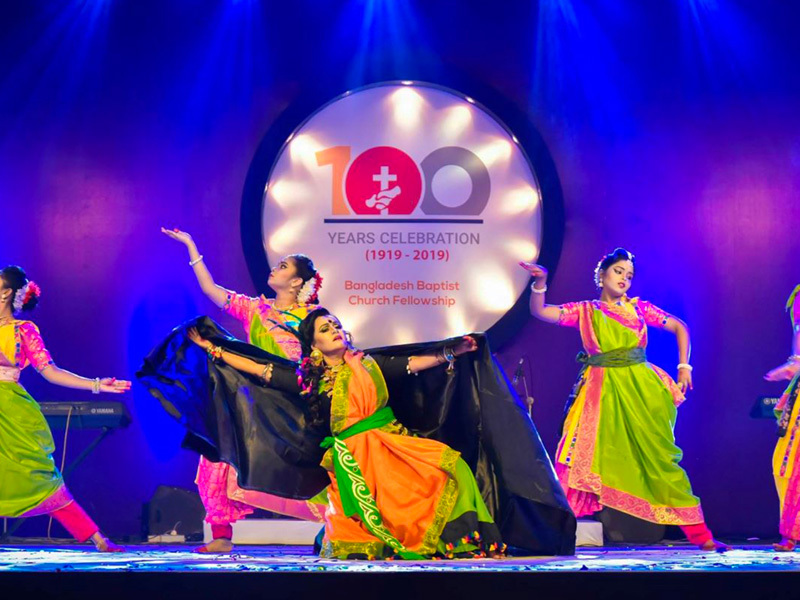 Many people gathered from all over the country and overseas, including New Zealand, to remember and celebrate 100 years of God’s faithfulness to Bangladesh and his people there. 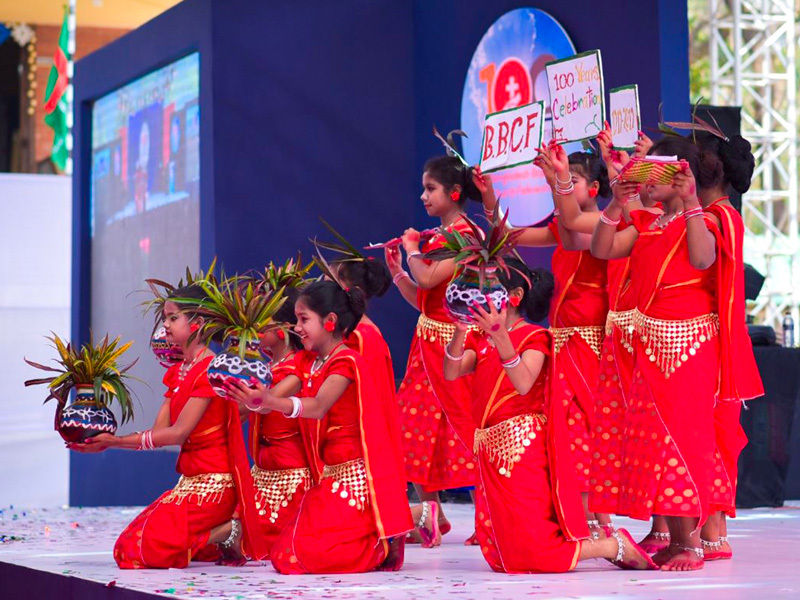 In this post, we pay tribute to the BBCF and those who have been a part of this work. 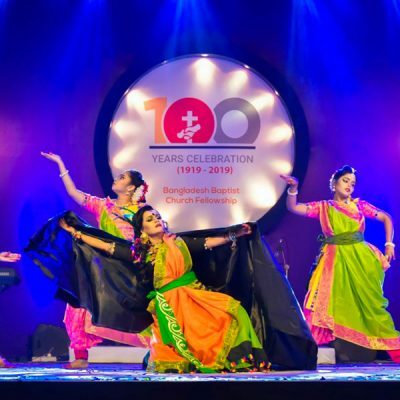 Included below are reports from some of the people who were at the centenary celebrations—all of whom have had some part in this work. 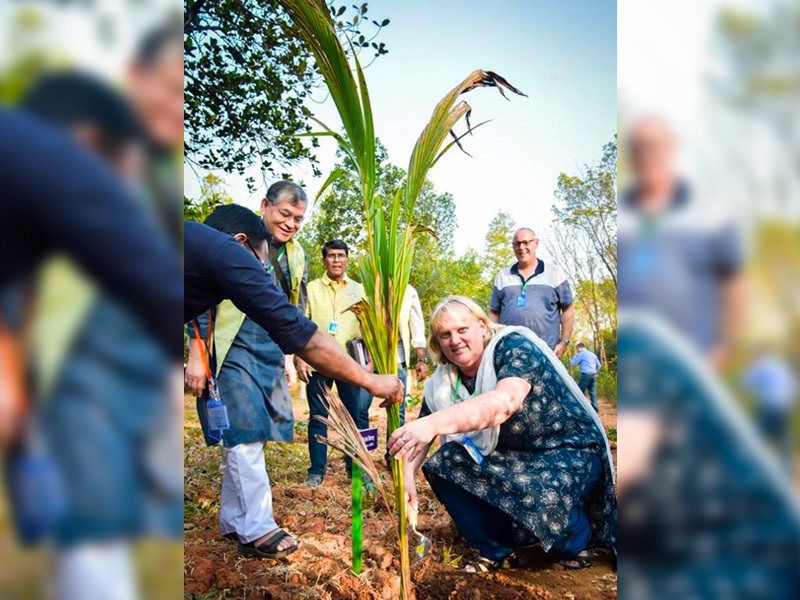 The first New Zealand Baptists to serve in Bangladesh arrived in 1886. Working alongside Australian Baptists, a range of ministry activity, led mainly by women, was quickly established. As the body of local believers grew and national churches began to establish themselves, the desire for a closer association increased. 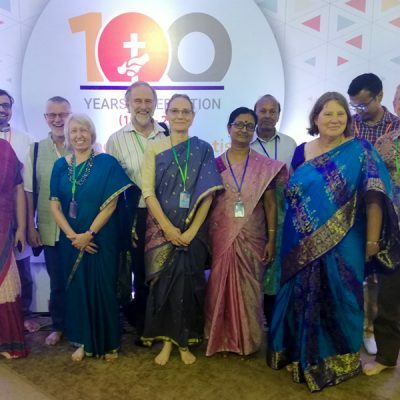 NZBMS and the Australian Baptists were present at a meeting in March 1919, which resolved to establish a Baptist Union of Churches in Bangladesh. As a result, BBCF was born. 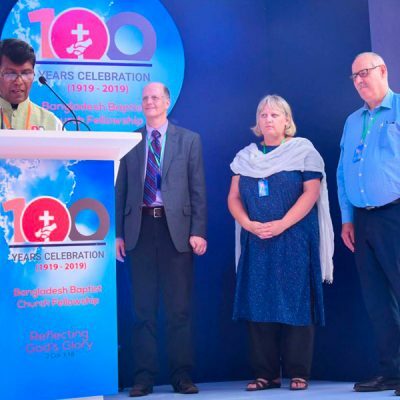 In the 100 years that have followed, we have been privileged to partner with local churches and BBCF through evangelistic work, discipleship and leadership training, medical work, education initiatives, literature publication, and relief and development work. 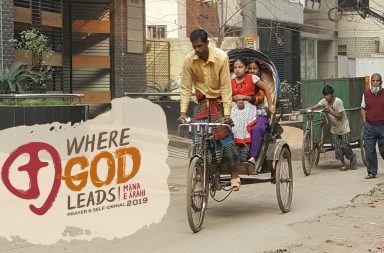 Throughout this time, including the years of World Wars and the local Liberation War, the church in Bangladesh has continued to grow. 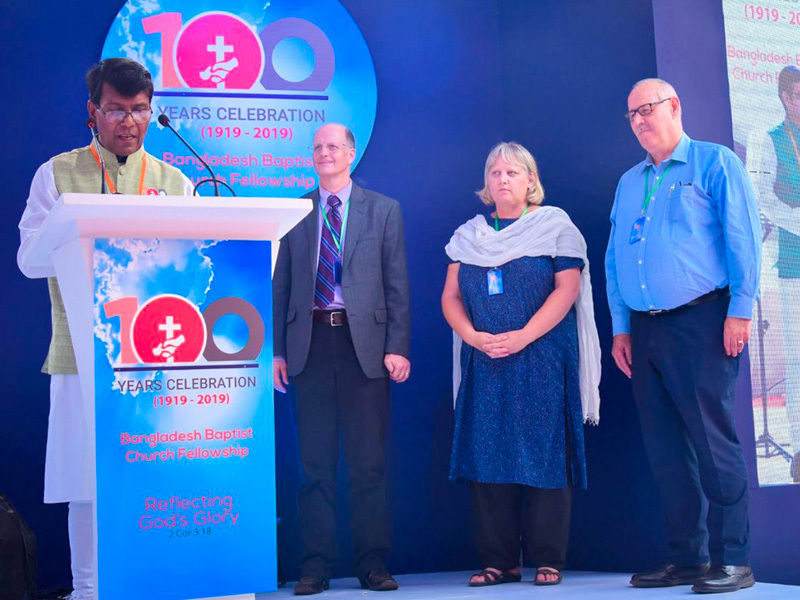 Today, God’s call for New Zealand Baptists to continue our involvement in mission in Bangladesh remains, although the emphasis has changed. 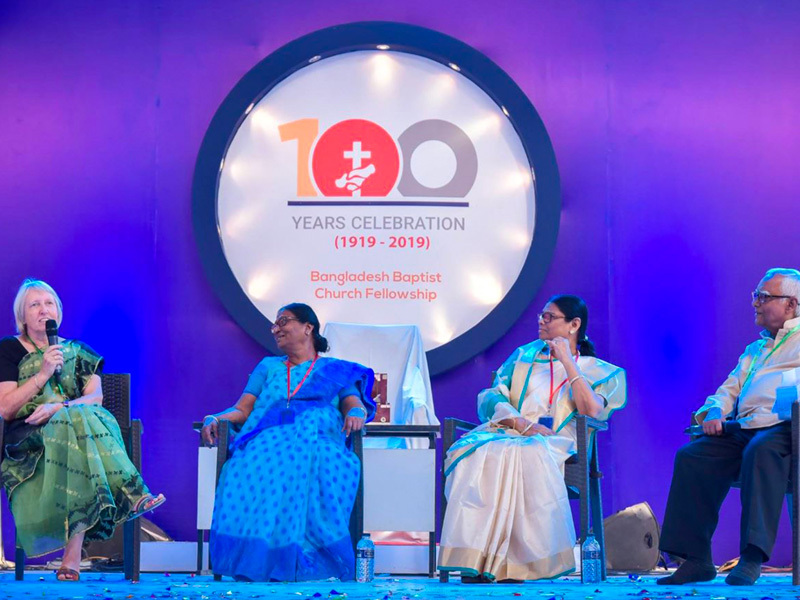 No longer is it about programmes and initiatives we establish; today it’s about how we can partner and support our Bangladeshi brothers and sisters in the work they are doing. 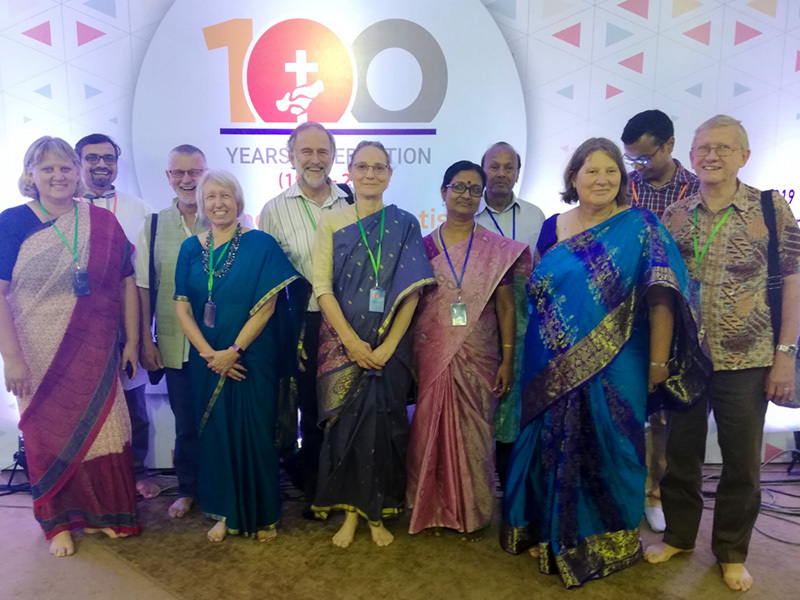 Over 100 New Zealand Baptists have served in Bangladesh, and NZBMS was privileged to be represented at the centenary celebrations by some of these. 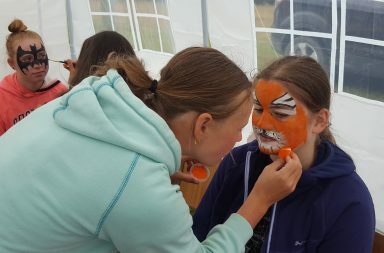 Carley, Ross and Cindy are the currently serving personnel, where their focus is on education, discipleship, mentoring and leadership training. They were joined by John and Susan Osborne (1975-2016), Paul and Adrienne Thompson (1979-1999), and myself. 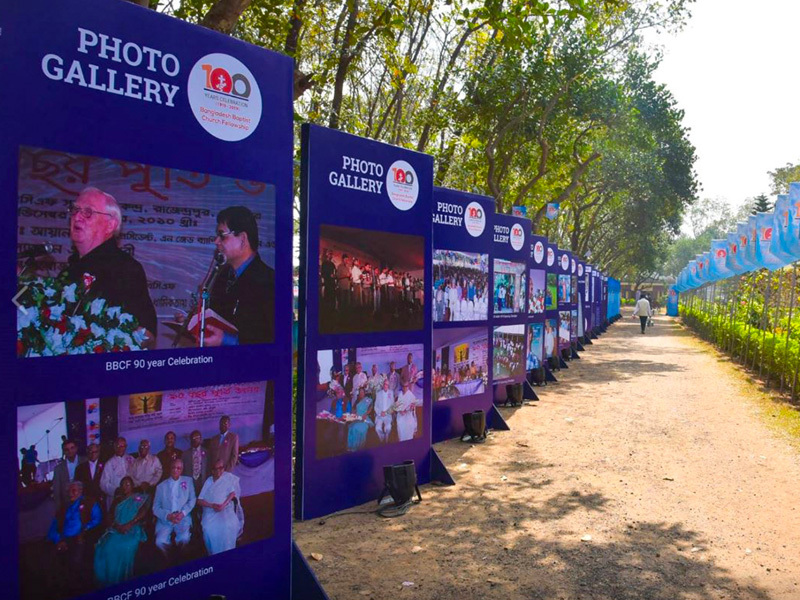 It was a joy to observe these people reconnect with many of those whom they served alongside in their years in Bangladesh. All current and previous New Zealand personnel were acknowledged with high regard and thanked for their input, past and present. 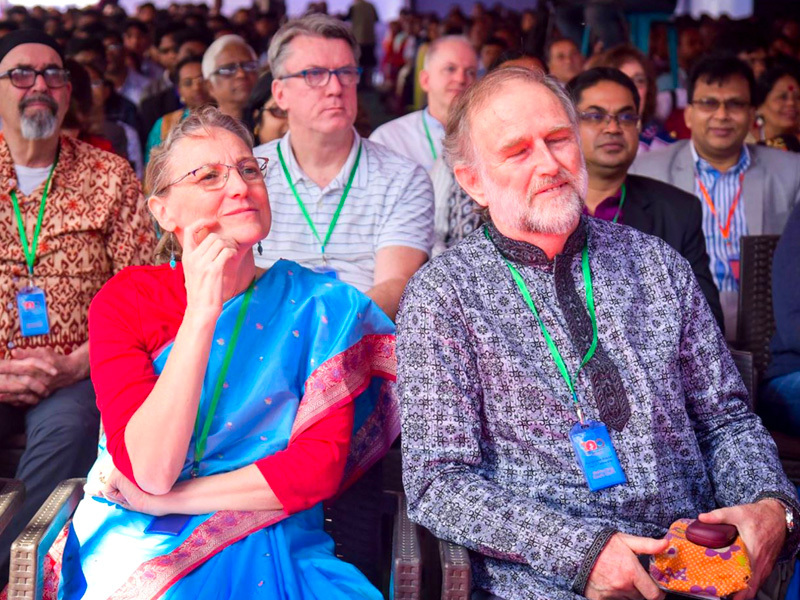 It was truly a privilege to be part of a local celebration of God’s faithfulness in Bangladesh knowing that, as New Zealand Baptists, we have been a small part of the work God has done here, and continues to do, through BBCF. We left Dhaka at 8.30 am on a cool morning. Blue sky sat somewhere above the smog. We had only 40 km to go. Still, the journey took over five hours. Five hours of bumps, near misses, going nowhere, sudden bursts of speed, strategic changes of direction followed by more waiting. 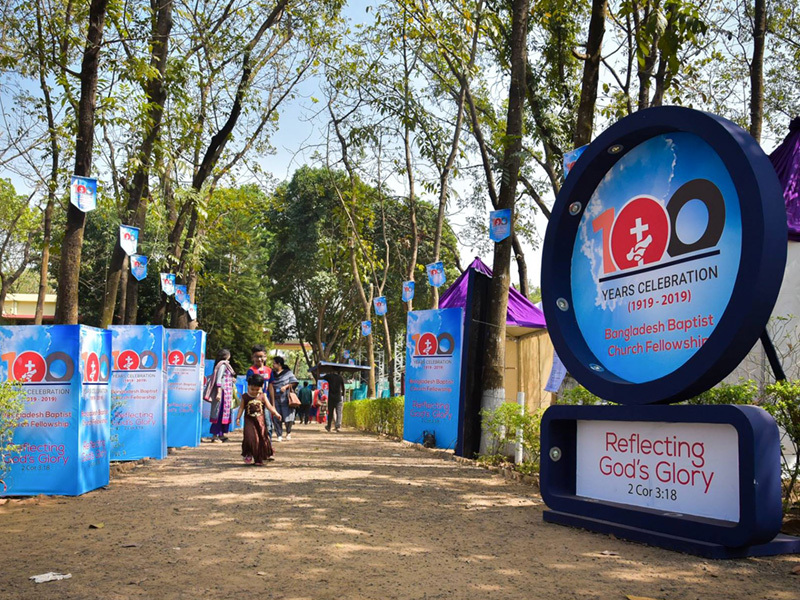 It felt like we’d never get there, but we did, welcomed by smiling volunteers into a huge gathering of Bangladeshi Baptist believers. Our journey to this place was a bit like the journey we’d come to celebrate. Over 100 years of bumpy travelling. Spurts of growth and times of stagnation. Dangers avoided, struggles endured, and finally, in partnership, a pause, a time to look back and marvel at how far we’ve come. 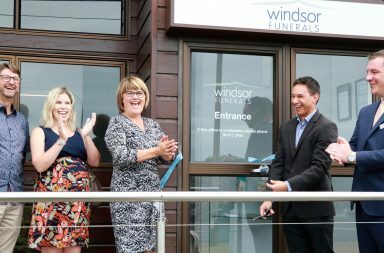 I was so fortunate to be there. My great-grandparents, Charles and Emily North, were among the early missionaries to East Bengal. 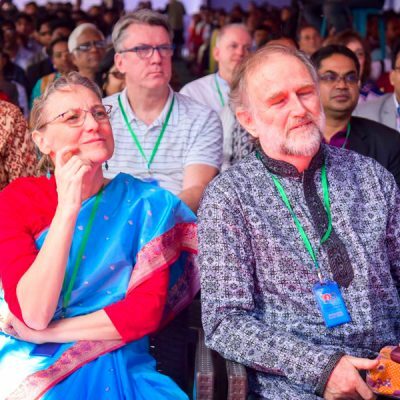 Paul and I arrived 70 years later, invited into a solidly established Bengali church in Chandpur and participating with the wider group of churches that had grown from the work of New Zealand, Australian and Southern Baptists. Worship. Teaching. Eating. Talking. The essential components of any church celebration. It felt both familiar and different to us. 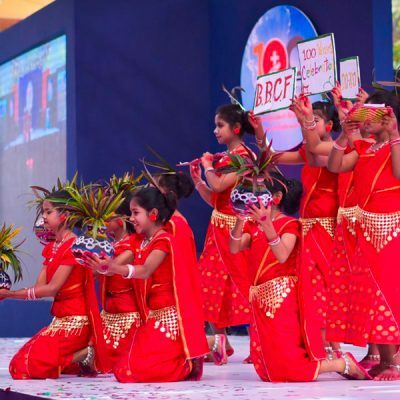 Some old Bengali songs, some modern translated ones. Long, loud sermons. Dance and drama. Rice and fish to eat with fingers. Stories and memories shared. Hugs and conversations. “Do you remember me, Aunty?” (No, you were six!) It was such a delight to see children and young people we once knew now leaders in their congregations. I think the words that remain for me now are ‘maturity and confidence’. Christians are still a tiny minority in a strongly Muslim country. Many congregations are small. But they have proved God’s faithfulness over 100 years and they’re leaning into it for the next century. 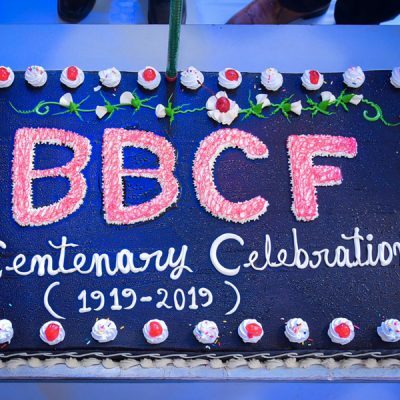 We felt truly honoured to join the BBCF Centenary Celebrations in Bangladesh. 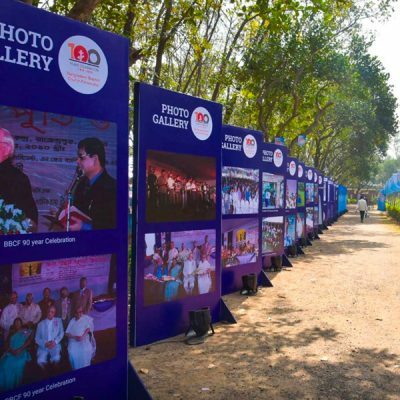 To see the historic pictorial presentation with so many familiar NZBMS faces made us aware of what a huge contribution has been made over 10 decades and how highly NZBMS and its people are regarded. This relationship spans back to the first worker, Rosalie MacGeorge, who was sent out from our home church, Dunedin City Baptist Church (then Hanover St Baptist Church), in 1887. The Lord blessed her faithful service and that of those who went after her. He has grown his Kingdom through these members of NZBMS. A century on, it was a thrill to join 2,000 other delegates in rejoicing for all the Lord has done in the past 100 years. 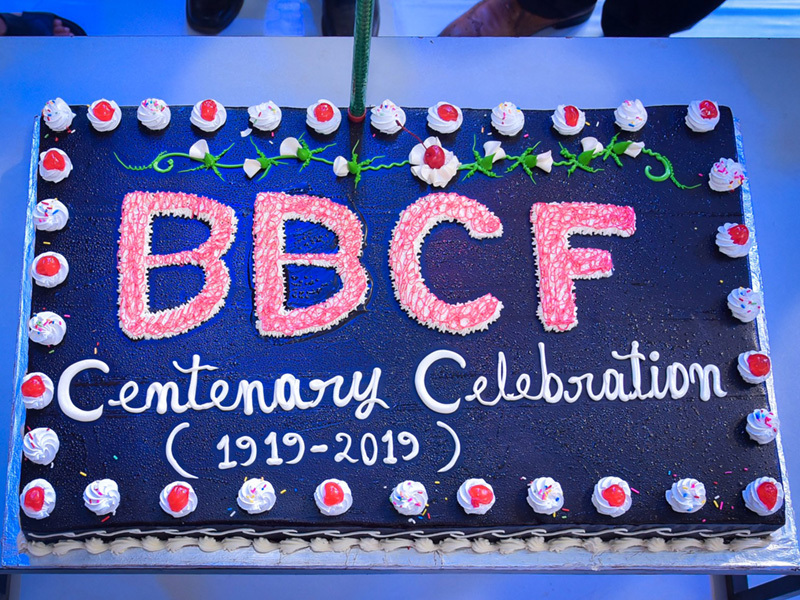 From our beginnings 100 years ago, BBCF is now a fellowship of 525 Churches, with over 800 full-time workers engaged in mission and ministry. 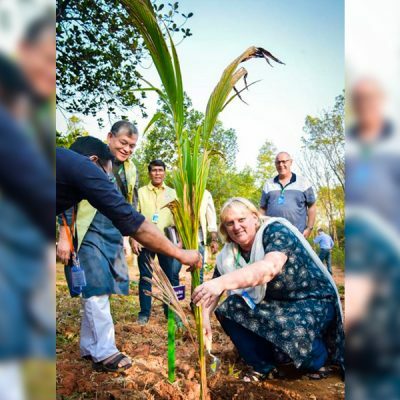 One major factor contributing to this success is the long-standing commitment of mission partners like NZBMS who have focused on training, equipping and releasing indigenous local leaders. 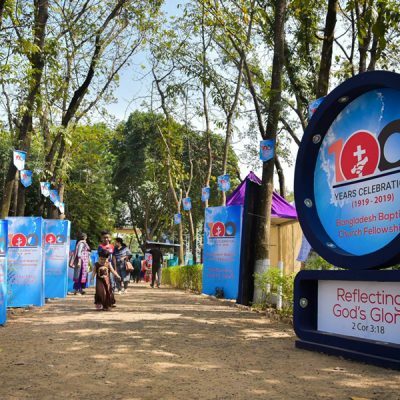 This 100th anniversary provides a marvellous opportunity for us to ‘Reflect God’s Glory’ in our personal and church life, and renew our collective calling for evangelism and integral mission. 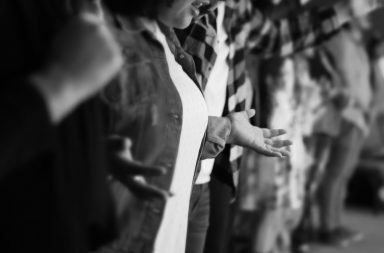 We continue to value the approach of planting indigenous churches, and our future success will be predicated in part by our continued commitment to planting new indigenous churches, training local leaders, and valuing historical partnerships.